Vanth Orcus 0A0X is a Legendary Warlock Armor in Destiny. 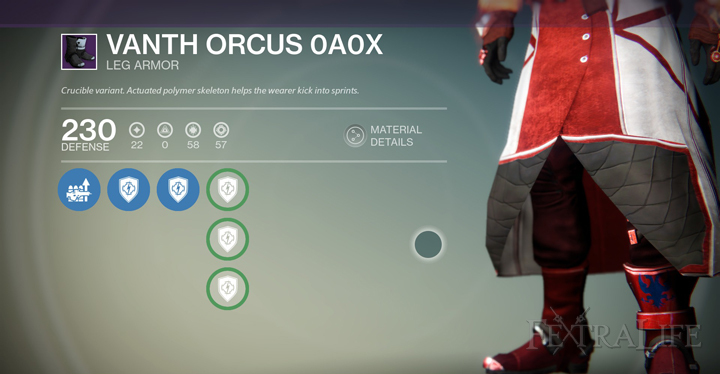 This Armor can be acquired from the Crucible Handler for Crucible Marks. Pieces of this armor require the player to be Level 20. 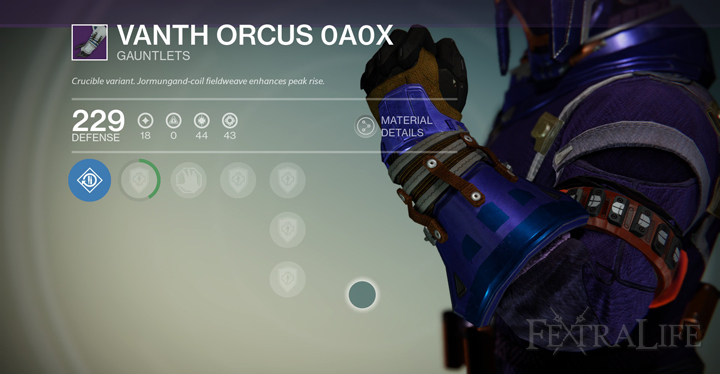 Each piece of armor comes with a bonus to Discipline, Strength or Intellect. These bonuses are random. 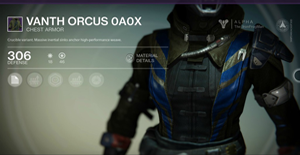 Each piece of armor has Armor Upgrades and these are shown in the spoilers below the screenshots. This armor has TYPE 1 COATING - This Armor can be recolored using version 1 or newer micromaterial shaders. SPECIAL WEAPON LOADER - Increases the reload speed of all Special Weapons. SERPENT'S MOUTH - Causing damage with a grenade reduces your melee cooldown. 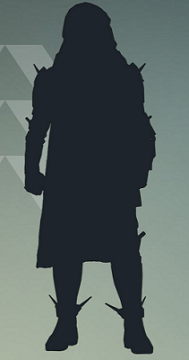 ENERGY PROJECTION - Increases grenade throw distance. 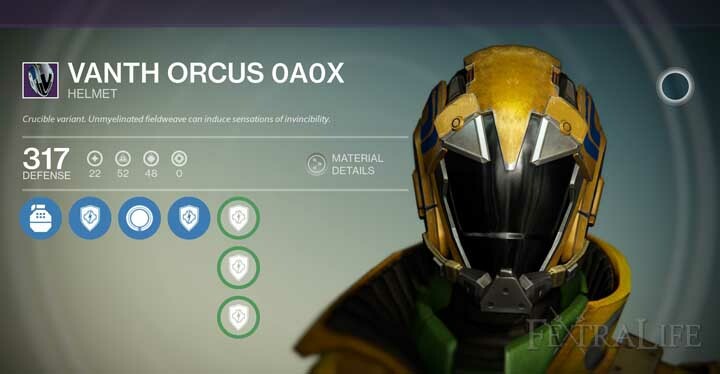 SNAP DISCHARGE - Increases melee attack speed. SERPENT'S TAIL - Causing damage with a melee reduces your grenade cooldown.